It’s been a busy June so far for Crown Realty Partners, which has acquired two properties and taken over management of a third. The firm announced it has acquired majority ownership of North York Square, a two-tower site at 45-47 Sheppard Ave. E. in Toronto it has been managing for 15 years. 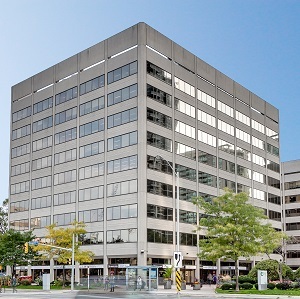 On Thursday, Crown also announced the closing of its purchase of 2300 Meadowvale Blvd., in Mississauga, the first acquisition for its Crown Realty IV Limited Partnership Fund. It has also taken over management of 115 Gordon Baker Road in Toronto, a 150,00-square-foot building near Highway 404 previously managed by Triovest. It’s occupied by Sony Canada which is expected to vacate the property in May after its 20-year lease ends. Crown obtained a 50.375 per cent stake of North York Square from several minority owners for an undisclosed price. Two other owners remain and Crown continues to manage the site. It’s the final acquisition for Crown’s third fund, Crown Realty III Limited Partnership. North York Square “was an excellent fit with the investment parameters of the fund,” says Crown Realty partner, investments Emily Hanna. The company acquires, leases, manages and develops commercial real estate assets in Canada. Since its formation in 2001, Crown has acquired and managed more than 8.5 million square feet of office space, totalling more than $2 billion in transactions. Built in the mid-1970s, North York Square consists of a nine-storey building at 45 Sheppard E. and a seven-storey building at 47 Sheppard E. with more than 230,000 square feet of office space combined. The two buildings have “highly efficient floor plates that accommodate full-floor and smaller tenancies,” Hanna says. In its first acquisition, Crown obtained North York Square in 2002 for a number of private investors and has been managing the site since. The company did not previously have an ownership stake in North York Square, notes Scott Watson, partner, leasing and marketing at Crown Realty. North York Square is located in an area “seeing a strong revitalization right now (with a significant number of mixed-use developments underway),” Watson says. Changes include the ongoing repositioning of nearby Yonge Sheppard Centre and construction of Tridel Corp.’s Hullmark Centre, which includes luxury condominium towers of 37 and 45 storeys, 240,000 square feet of office space and 60,000 square feet of retail space. Current occupancy of North York Square is in the 90 per cent range and “we’ve seen much higher retention in this complex over the past 15 years than there’s been in most in the city,” Watson says. About 80 per cent of leases expire within the next four years, which presents an opportunity for the fund, Hanna says, given the site’s traditionally strong retention and rents that are less than current market rents in the area. The two buildings have primarily attracted government tenants, such as the Ontario Family Law Court and ServiceOntario. Crown Realty plans capital improvements of more than $5 million over the next five years at North York Square, including lobby renovations, elevator retrofits and the completion of renovations to washrooms, which have already been renovated to the tune of 85 per cent. “We don’t wait for the issue to happen; we get ahead of it and stay ahead of it,” Watson says. Purchase of 2300 Meadowvale Blvd. This three-storey, 242,000-square-foot office building is located in an established office market in the community of Meadowvale. Purpose-built in 1986 to house GE Canada’s head office, it was one of the first LEED-certified buildings in Canada. The 26-acre property features easy access to Highway 401, and transit access at the front of the property. Crown plans to introduce its WorkFit by Crown fitness concept, a fitness and lifestyle for its tenants. Other features include an on-site cafeteria, open-air atrium, loading facilities and “an abundance” of greenspace. The Crown Realty IV Limited Partnership Fund has more than $200 million of committed capital to invest. It is actively seeking other Canadian commercial real estate opportunities. Crown Realty is managing 115 Gordon Baker Road on behalf of the Insurance Corporation of British Columbia (ICBC). which provides auto insurance to B.C. motorists. It’s Crown’s third assignment with the ICBC fund. Watson says Crown Realty was brought in to manage the revitalization of the property. “The owners are committed to a huge capital program,” of upwards of $5 million that will include elevator upgrades and new exterior cladding. A new feature will include an all-day shuttle service to CF Fairview Mall near the Don Mills subway station. With Sony’s expected departure, the building “will be one of the largest contiguous blocks available for tenants for 2018 move in,” Watson says.